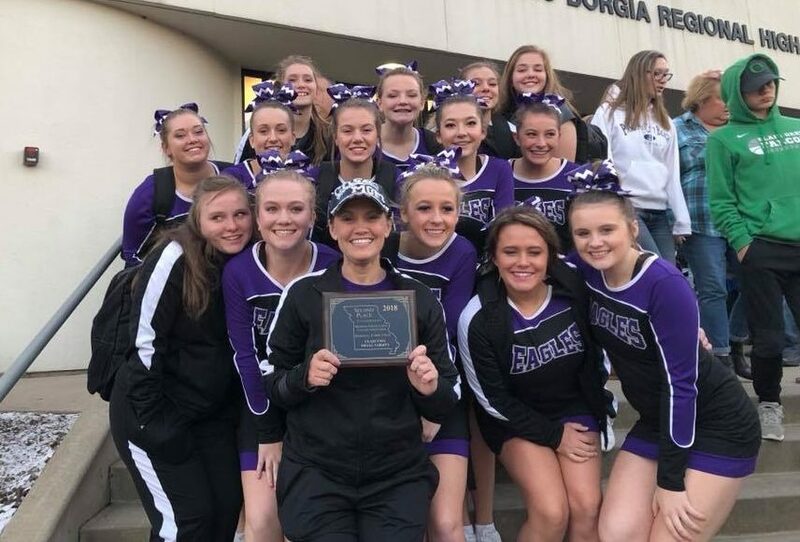 At Fair Grove High School competitive cheer used to be a big event, and on November 10th in Washington, Missouri the Fair Grove Cheer Team competed at Regionals for the first time since 2013. The squad ultimately took second place in the entire competition, allowing them to move on to Cheer State. The cheerleaders on the competition squad are Sidney Hill (12), Lyndsey Wall (12), Holly Lemon (12), Jaden Peterie (12), Kailey Faubion (12), Olivia Prince (12), Brooke Heavin (11), Marrantha Holliman (11), Chloe Reynaud (9), Samantha Armstrong (9), Audrey Williams (9), and Hailey Hulette (9) as an alternate. To prepare for the competition the cheer team has been practicing their cheer routines daily for weeks, and they have also been working with a choreographer in a gym facility in Springfield, MO. The team has had several injuries this year ranging from broken bones to concussions, however, the team pushed on and continued to work hard towards their goals this season. 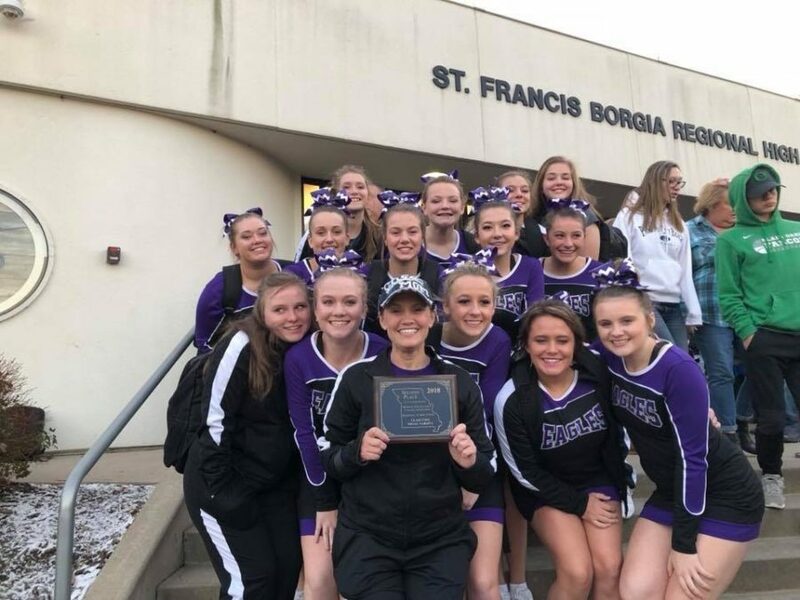 “Our routine is really tough and really challenges their strength and endurance, they have discovered how strong they really are,” stated Head Cheer Coach Tiffany Hill. “At competition, we do a cheer, a chant, and a coordinated dance routine with stunts and jumps incorporated as well, it also has to be under 3 minutes long,” said Senior Cheerleader Holly Lemon. After the routine the judges rate the performance of the squad in different categories and give suggestions on how to improve. “We will definitely work on those suggestions, this was our first experience in many years, so I now feel that we are more confident and prepared for the next level of competition,” said Coach Tiffany Hill. The next level of competition is Cheer State which will take place December 1st and 2nd in St. Charles, Missouri.